For some time now, Joel has engaged in some very balanced and thoughtful interaction with Catholic authors and issues over at his blog. In particular, I've enjoyed reading his posts on Pope Benedict's books and Scott Hahn's work. Recently he has taken up Matthew 16. I'd like to respond to a few elements in his post, specifically, the issue of Petrine primacy. "Further, even in the early Church, we do not see the primacy of Peter suggested, not at least for a few centuries. Even then, both Cyprian and Irenaeus made their own apologies against the primacy of Peter, with one under the rule of Rome!" Here I want to loo at these claims more carefully. Before going forward, I'd like to mention once more an earlier series of posts of mine on the identity of the "rock" Jesus builds his church upon in Matthew 16. Of course, this passage relates the question of Petrine primacy. "Further, much is made of the renaming of Peter which mean pebble whereas the rock means rock mass. It wasn’t Peter himself which the rock was, but Peter’s revelation." “. . . attempts that have been made, largely in the past, to deny this [i.e., that Peter is the rock] in favor of the view that the confession itself is the rock. . . seem to be largely motivated by Protestant prejudice against a passage that is used by the Roman Catholics to justify the papacy” (Hagner, Matthew, 2:470). Despite Joel's opinion, in my opinion (and in the opinion of many non-Catholic scholars such as W.D. Davies and Dale Allison), Jesus is identifying Peter as the "rock" upon which he builds the church. This surely points to a kind of Petrine primacy: no other early church figure is spoken of in quite this way. It seems clear to me that this passage--not to mention the fact that Jesus also only gives Peter the keys of the kingdom of heaven--strongly underscores Peter's unique leadership role among the twelve. As I quoted him above, Joel states that Petrine primacy does not emerge until much later in the Church. Really? Let me be clear: I've deeply appreciated Joel's fair and thoughtful posts. Here though I just strongly disagree; the evidence in the New Testament seems to underscore Peter's role as first among the apostles--i.e., his "primacy". in Gethsemane (cf. Matt 26:37//Mark 14:33). Meier writes, “[Peter] is the most frequently mentioned, the most actively engaged, and hence the most prominent of the Twelve.” Who could disagree? The book of Acts also underscores Peter’s importance in the early Church. While most scholars recognize this, the sheer number of instances in which this is evident is nothing short of staggering. It is Peter who first stands up and speaks of the need to appoint a replacement for Judas—a direction which is dutifully followed without hesitation (cf. Acts 1:15–26). It is Peter who addresses the crowds on Pentecost (cf. Acts 2:14–36) after which the crowds respond by addressing, “Peter and the rest of the apostles” (εἶπόν τε πρὸς τὸν Πέτρον καὶ τοὺς λοιποὺς ἀποστόλους), and Peter himself responds (cf. Acts 2:37–40). When Peter and John are arrested, it is Peter who speaks for them (cf. Acts 4:8–12). It is Peter who deals with Ananias and Sapphire after they misrepresent their offering―an offering which was originally laid “at the apostles feet” (cf. Acts 5:1–11). People are said to be brought to the “apostles” so that Peter’s shadow might fall on them to heal them (cf. Acts 5:12–16). When the apostles are brought again before the Jewish leaders, Peter again is prominent (cf. 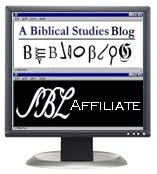 especially Acts 5:29: ἀποκριθεὶς δὲ Πέτρος καὶ οἱ ἀπόστολοι εἶπαν). 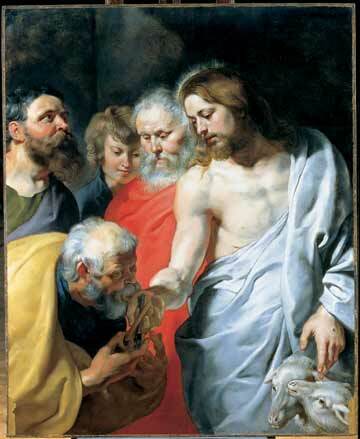 When it is discovered that Christians in Samaria have been baptized but not yet received the Holy Spirit, Peter and John go to lay their hands upon them (cf. Acts 8:14–17). When a man named Simon wants to buy the ability to give the Spirit he approaches Peter, and it is Peter who rebukes him. Simon then asks Peter (note: John is not included) to pray for him (cf. Acts 8:18–24). Peter is described as going out to all the Christians (Acts 9:32: γένετο δὲ Πέτρον διερχόμενον διὰ πάντων κατελθεῖν), performing miracles (cf. Acts 9:32–43). 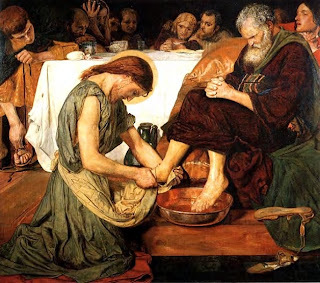 It is Peter who is sought out by a Roman centurion, whose entire household ends up being baptized by him (Acts 10)—an episode which is described as the watershed moment as the Gospel is accepted by Gentiles. It is Peter who first opposes the circumcision party (cf. Acts 11:1–18). Peter’s words “silences” them (ἡσύχασαν; Acts 11:18). After Herod kills James, he specifically sets out to find Peter (cf. Acts 12:3). Peter plays a crucial role at the council of Jerusalem where “after there had been much debate” Peter speaks. The response is immediate—the assembly falls silent; while James comes up with the best pastoral solution, it was Peter’s statement that ended the debate (Acts 15:6:29). Indeed, scholars have noted that in the book of Acts Peter’s baptism of the centurion appears to serve to validate the church’s Gentile ministry. This of course underscores the unique respect accorded to him by early Christians. Likewise, in Galatians Paul explains that just as the task of preaching Gospel to the uncircumcised had been entrusted to him, Peter was entrusted with preaching the Gospel to the circumcised (cf. Gal 2:7). He even describes Peter as one of the “pillars” of the community with James and John (cf. Gal 2:9). But we'll deal with Galatians further in the next post in this series. Stay tuned. See Meier, Marginal Jew, 3:221. For further discussion see Brown et al, Peter in the New Testament, 39–56. Moreover, just as the early church’s ministry commences with Peter’s sermon at Pentecost, Paul’s also begins with a speech in Acts 13:16–47—a speech which contains similar augmentation to that of Peter’s earlier one (i.e., citing Psalm 16 as pointing to the resurrection). In addition, Paul, like Peter, is also miraculously delivered from prison (cf. Acts 12:7–11; 16:25–26). Furthermore, see Clare K. Rothschild, Luke-Acts and the Rhetoric of History: An Investigation of Early Christian Historiography (WUNT 2/175; Tübingen: Mohr-Siebeck, 2004), especially 115–116 and 134 who further examines these parallels. Behind all of this appears to be a desire to authenticate the ministry of those who are in some way under suspicion: Peter, who had deserted Jesus, and Paul, who had persecuted the church. There is little doubt then that the validity of Paul’s ministry is strengthened—at least in part—by the fact that he parallels Peter, who is vindicated by the end of the first part of the book of Acts (cf. Rothschild, Luke–Acts and the Rhetoric of History, 133–34). As I said in my post - I tried but couldn't get around the usual Protestant apologetics for this verse. If we take Matthew alone, then we can see Peter's primacy among the Apostles. Further, if I were to step back and unbaisly examine this verse, I would see that God the Father chose Peter for the Revelation, a revelation that no one disciple had, and if God chooses then it is not for a mere happenstance, or literary turn of the page. Still struggling with this one. Or, it may be that I am struggling with the fact that I am not struggling with it. Leaving aside the question of the exegesis of the rock, it is still puzzling to me how Protestant commentators dance around the Keys and the Binding and Loosing. Jesus didn't give the keys to everyone, just to Peter, and the same with the binding and loosing. If those don't represent special authority, then what does? PS I took a New Testament class at Wheaton College from Hagner, and in addition to being an excellent scholar he is a great Tuba player. What of Luke's account of Jesus telling Peter that Satan has demanded to sift you (plural)but that He (Jesus) has prayed for you (singular) that your (singular) faith would not fail? Certainly, it appears, that Jesus is praying for Peter in a way that He is not praying for the others, for why the shift from plural to the singular. Reading Matthew 16 with Isaiah 22: 20-22 makes it hard to believe that Christ was not giving primacy to Peter. The language he uses is that of the Davidic Prime Minister. Yeah, and there's the stuff in Luke when Peter says, "Are you saying this to everyone or just to us," and Jesus says, "Who then is the faithful and wise servant, whom the master will set *over his whole household* to give them *their food at the proper time" ..." And I suppose it's just coincidence that those words are addressed to Peter in response to his question? Of course a lot of people have seen this. there is a great article on New Advent (Encyclopedia) about this - the power of the keys, and its relation to binding and loosing. The Lord actually gives this authority to the other Apostles two chapters later (Mt 18:18), though not the power of the keys. It seems the Fathers interpreted this 'binding and loosing' as being given to the Apostles/the Church 'through' Peter, he being the foremost among them. It's an interesting entry, so do gove over there and read the whole thing! I am certainly not a biblical scholar so many of you are, but I was always struck by the fact that John raced to the Tomb, then paused to let Peter enter first--a subtle but clear indication of Peter's standing even with the Beloved Apostle.